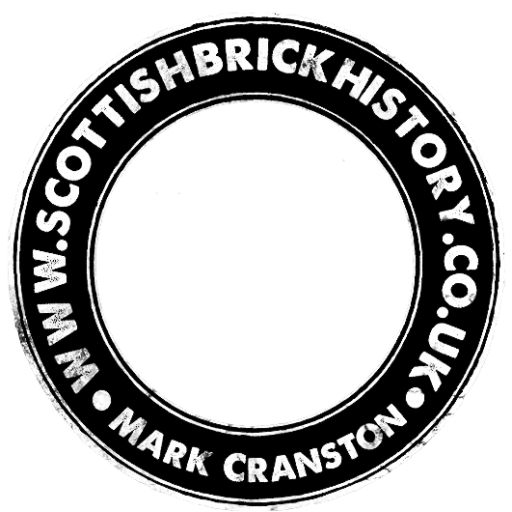 Steam Mills – Fire and Common brick manufactory near Falkirk to be let. 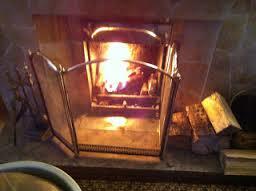 To be let for such number of years as may be agreed on with entry immediately. 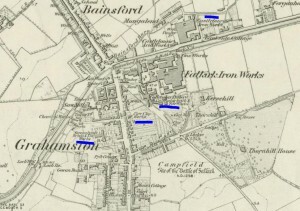 Castle Laurie Mills – These mills lie on the banks of the Great Canal at Bainsford, 2 miles from Grangemouth and 1 mile from Falkirk and 1/2 mile from Carron Works. 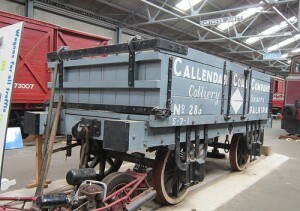 They are fitted up for the manufacture of wheat, oats, barley and pease and are propelled by a steam engine of great power, are nearly new and in excellent order. Adjoining the mills there is a fire brick manufactory, recently erected on the most approved principles. 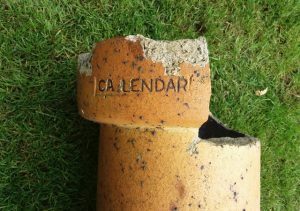 The fireclay which is readily obtained from the coal works in the neighbourhood, is ground down by power from the steam engine and the bricks are admitted by all who have seen them to be of the first rate quality. If wished, arrangements could be made for the manufacture of common brick and tiles in an adjoining field belonging to the same proprietor in which there is an abundance of eater and clay of the best description, cheap coal and water carriage being also close at hand. The mills and brick manufactory may be let separately and every encouragement will be given to a respectable tenant. 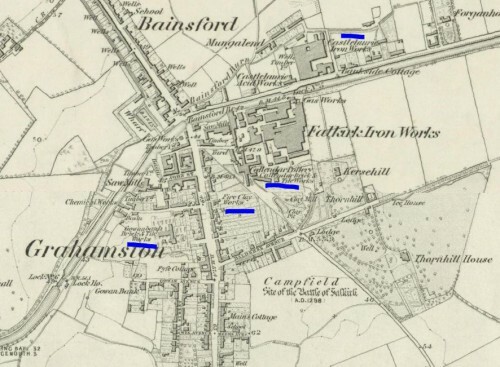 These could be one of 3 brickworks. Below are the possibilities in order of personal preference. Previous Article Carron, Falkirk - Unidentified brickworks. 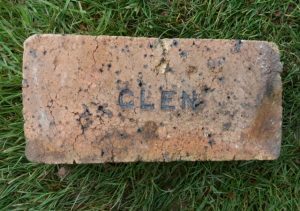 Found on the Firth of Clyde, Old Kilpatrick, Glasgow Glen Works, Glen Village, Falkirk, Stirlingshire . . . .
Found Stoneywood, Bonnybridge This appears to be an early Calendar firebrick. 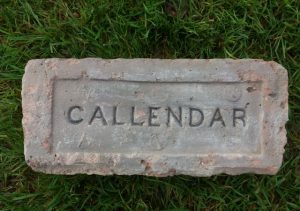 Callendar Brick And Fireclay Works, Glen Works, Glen Village, Falkirk, Stirlingshire. . . .
Found at James Dougalls old site, Bonnyside, Bonnybridge The 1st ‘L’ appears to be missing. 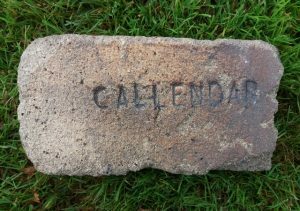 Callendar Brick And Fireclay Works, Glen Works, Glen Village, Falkirk, Stirlingshire. . . . .